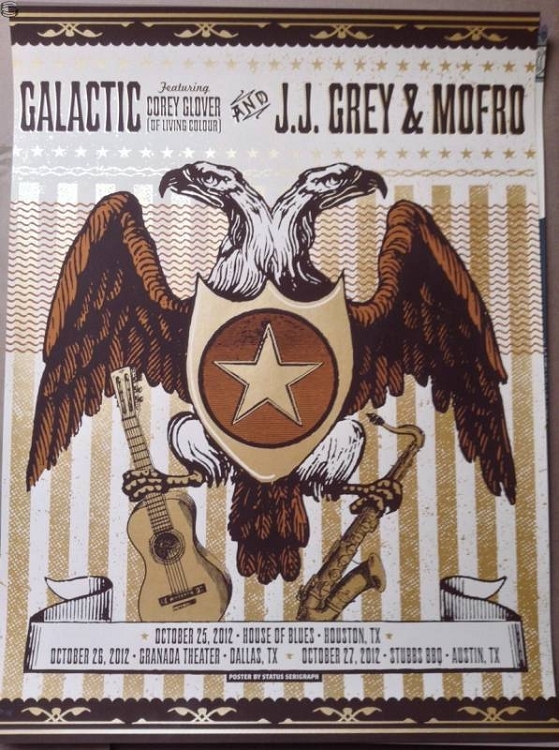 Galactic and J.J. Grey & Mofro featuring Corey Glover (Of Living Color). Texas Tour. Print Released in 2014. Poster by Status Serigraph (Justin Helton). Signed by poster artist and numbered 11/20.